In addition to my work as a scholar and teacher, I enjoy collaborating with others to advance and support Slavic Studies and the Humanities. At Swarthmore, for example, I have organized a teach-in on the centennial of the October Revolution, a symposium on the state of Russian Studies today, and several guest lectures. 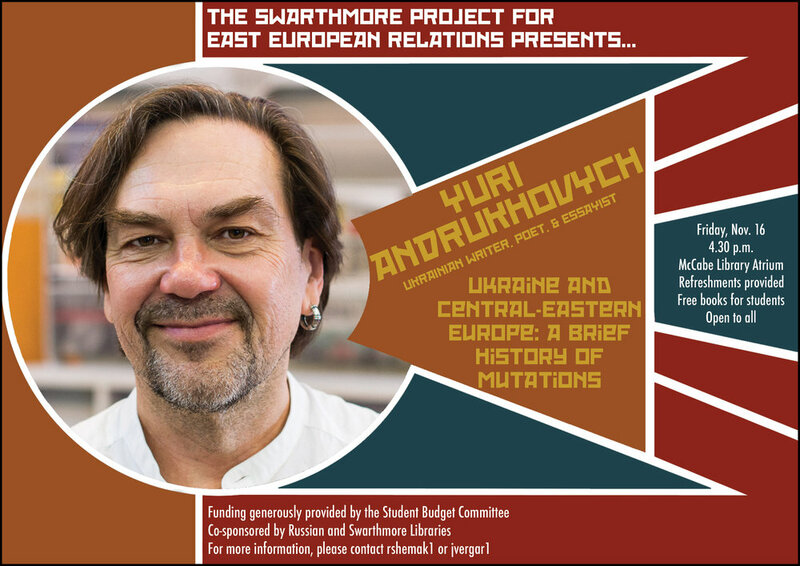 As advisor to the Swarthmore Project for East European Studies (SPEER), I am working with students to develop conversations on campus about the region and its culture and politics. Please click on the posters and images below to expand them to full size. You may play the videos in thumbnail size or click the titles to open them on YouTube. After working as an interpreter for refugees seeking asylum at the Swiss border, emigre-dissident Mikhail Shishkin incorporated this experience into his novel Maidenhair. The stories he presents offer a more human(e) perspective that encourages empathy, that transcends statistics by delving deep into the stories of the displaced, and that emphasizes the power of storytelling as a means to transform our perceptions and sympathies. 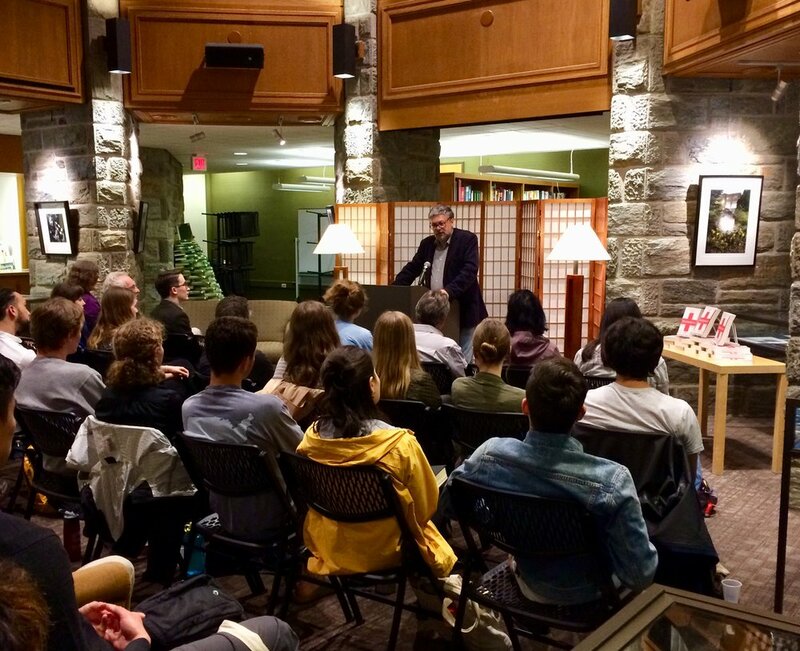 In addition to his reading at Swarthmore, Shishkin visited Russian 053 to discuss his more recent novel, The Light and the Dark. 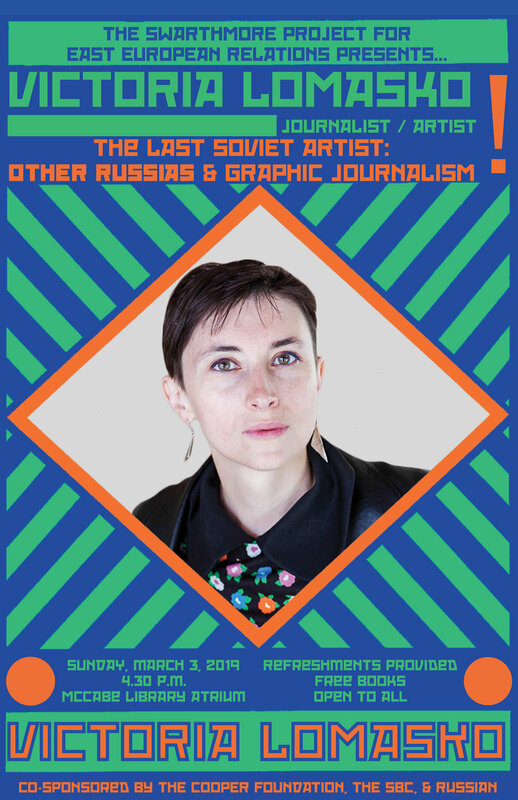 In her work both as a cultural historian of the Leningrad siege and as one of Russia’s leading poets, Polina Barskova explores the connections between art, trauma, and history. Through her lecture, we learned about how poetry both shapes and is shaped by urban catastrophes. Through her poetry reading, we witnessed this artistry in action. Barskova also visited Russian 053 to speak with students about her work. There has never been a more crucial time to understand Russia. On the occasion of the October Revolution’s centennial, we invite the Swarthmore community to a teach-in devoted to Russia, “a riddle wrapped in an enigma.” Why do 1917 and its lasting effects matter, and what role does Russia play in today’s world? Join us for a wide-ranging discussion on these questions and more. This special panel will address a range of topics: history, music, gender studies, women’s rights, contemporary literature, politics, and art. 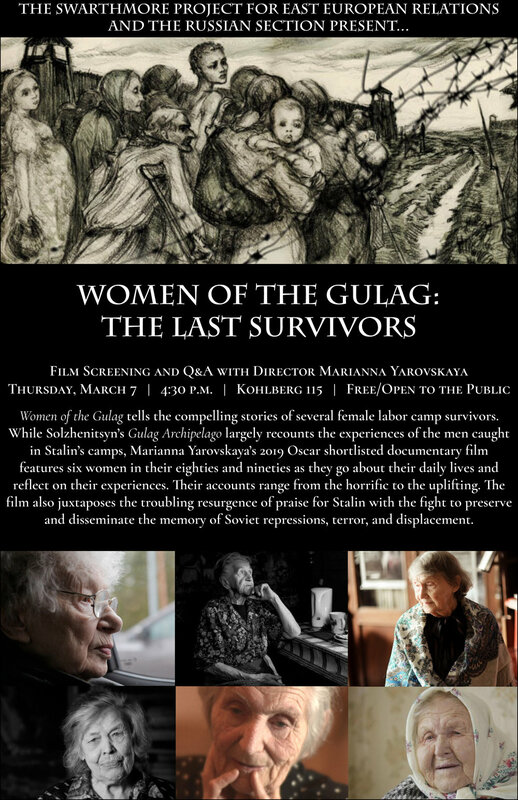 Featuring Emily Frey (Russian, Swarthmore), Kristen Ghodsee (Russian, UPenn), Kevin Platt (Russian, UPenn), José Vergara (Russian, Swarthmore), and Robert Weinberg (History, Swarthmore).